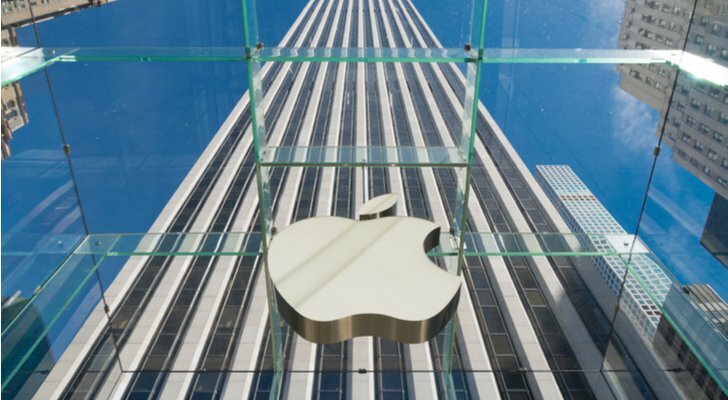 Apple (NASDAQ:AAPL) stock bulls are overlooking multiple, large negative catalysts that the company is facing in the short-to-medium term. Given these strong headwinds, many of which are interrelated and feed on each other, the Apple stock price will probably be significantly lower in six months from where it is now. With all that in mind, here are the four headwinds bearing down on AAPL stock that investors need to keep in mind, as each could put a significant dent in the company’s stock in the months ahead. One of the main reasons Apple stock declined in the wake of its fourth-quarter results, unveiled on Nov. 1, is that the company reported that it had sold fewer iPhones than expected. And one of the main reasons for the shortfall was the increased competition that AAPL is encountering from Chinese smartphone makers Xiaomi, Oppo and Vivo, whose devices are cheaper than the iPhone and have many high-end features that have enabled them to win the affection of millions of people in overseas markets. According to research firm IDC, the trio’s global smartphone market share spiked from 8.9% in 2014 to almost 20% in 2017, while Apple’s market share fell to 13.6% in the first half of 2018 from 14.8% in 2014, Reuters reported. The Chinese-made smartphones are reportedly gaining ground in markets outside the U.S. in general and developing markets in particular, including China, India and Southeast Asia. Apple CEO Tim Cook said that the company’s revenue from China rose 16% year-over-year, but there are numerous reports of weak iPhone demand in China, suggesting that AAPL’s business in the Asian country will deteriorate going forward. In fact, anemic iPhone demand in China could be a key reason for AAPL’s weaker than expected first-quarter guidance. That probably explains why, as Cook admitted on the company’s earnings call, Apple has been “seeing pressure” in a number of emerging markets, including Turkey, India, Brazil and Russia. And while Cook tried to blame the weakness on currency fluctuations, that’s probably an excuse and not the real reason for the company’s problems in developing markets. Moreover, the company’s problems in developing markets are going to get worse if it continues to follow its strategy of raising prices. Such a strategy will exacerbate the price gap that’s hurting the iPhone’s sales in emerging markets. Services revenue from growing as quickly as those who are bullish on AAPL stock are expecting. According to Reuters, at least one Wall Street analyst shares my sentiment. Indeed, if tens of millions of iPhone users in overseas markets, repelled by the sky-high prices for new iPhones, buy smartphones made by other companies, it’s hard to see how Apple’s Services growth won’t slow down as the number of iPhone users who are using Apple’s services drop significantly. Netflix (NASDAQ:NFLX) has reportedly been testing a new system that will prevent its new customers in 33 countries outside the U.S. from using iTunes to pay for their subscriptions, TechCrunch reported. Instead, they will have to pay Netflix directly for their subscriptions. As a result, when these individuals subscribe, AAPL will no longer collect the 30% fee that it charges on all Tunes payments from Netflix. Netflix probably decided it could afford to conduct the trial because of the iPhones’ declining popularity in many overseas countries, since, even if the trial did not go well, NFLX would not alienate that many of its customers. In 2016, Spotify (NYSE:SPOT) decided to prevent its new customers from paying for their subscriptions through the App Store. Sooner rather than later, the owners of other popular apps, like Pandora (NYSE:P), Pokemon and the Candy Crush games, will likely follow suit. They could also find way to entice current subscribers to stop using iTunes to pay for their subscriptions by, for example, giving those who do so a 15% discount off of a year’s subscription cost. In 2017, App Store generated about $11.4 billion of revenue for Apple, representing almost 5% of its total top line and about a third of its Services revenue. Let’s use those proportions to estimate how much of a hit Apple’s top line could take from iTunes workarounds. If Apple’s revenue from its App Store drops by a third as more apps circumvent it, the company’s overall revenue will take a hit of about 1.65%, and its bottom line would be significantly more affected, given iTunes’ sky-high margins. Perhaps more importantly, the company’s Services revenue, which is viewed by most Apple’s bulls as the company’s growth engine, would be about 11% lower than current projections. Such an outcome would demoralize many AAPL bulls and thousands of owners of Apple stock, possibly convincing them to unload the stock. Apple’s arch-nemesis, Samsung, is reportedly going to unveil a foldable phone by the end of this year. Samsung indicated that the phone, when unfolded, will have most of the same attributes as a tablet. Thus, users could have the best aspects of a phone and a tablet on the same device. I believe there is a great chance that the new device will become a big hit, badly hurting sales of both the iPhone and the iPad. Many consumers outside of the U.S., along with investors, seem to understand that the emperor which AAPL has become is pretty scantily clad. With several negative catalysts on the way, AAPL stock will be in trouble, unless Tim Cook can finally unveil a real game-changer in the coming months. As of this writing, Larry Ramer owned shares of Pandora. Article printed from InvestorPlace Media, https://investorplace.com/2018/11/4-headwinds-that-will-likely-cause-apple-stock-to-drop-further/.